Italy’s Eni on 8 February announced a new discovery in its NFW Rosa North 1X well in the Meleiha Concession in Egypt’s Western Desert. 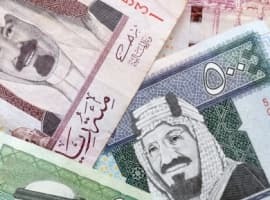 The well encountered a total oil pay of around 80 meters in multiple good-quality sandstones of the Bahariya, Alam El Bueib, Khatatba (Upper & Lower Safa Members) and Ras Qattara reservoirs. Reservoir flow has been successfully tested. This is Eni’s attempt to seek deeper oil sources in Egypt’s Western Desert, and the recent discovery will lead to the drilling of two additional wells this year. Production at the Rosa North field is predicted to reach 5,000 bopd in the first half of this year. Western Desert potential has been boosted over the past year, with another sizable discovery in May 2012 in the Emry Deep field (also by Eni). Emry Deep is now producing 18,000 bopd. In total, Eni is producing over 50,000 boe/d in six different concessions in Egypt’s Western Desert. In 2010, Eni started oil production in its Arcadia field in Egypt’s Western Desert. Production began only 45 days after the discovery of oil in the well. The Arcadia 1X well is also in Eni’s Meleiha Concession. The Meleiha Concession is managed by a group led by EniSPA, and includes Lukoil Overseas (24%), Mitsul & Co. (20%), and Eni’s International Egyptian Oil co (56%). Agiba, a joint-operating company owned by IEOC (40%), Mitsui (10%), and EGPC (50%), is the operator of the Rosa North project. In late January, Maersk Oil (Denmark) announced a new presalt discovery in the deepwater fields of Angola in Block 16 in the Lower Congo/Namibe Basin. 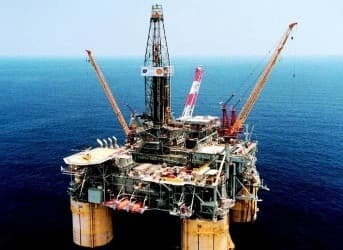 The discovery came in the Caprolo-1 exploration well, which Maersk owns in partnership with Odebrecht (Brazil) and Angolan national oil company Sonangol. Production tests resulted in a flow rate of 3,000 b/d. This same group found more than 3,000 b/d in the Azul-1 well in the Kwanza Basin in September. In February 2012, Cobalt International struck oil in the Kwanza Basin, estimating 1.5 billion barrels and setting off a flurry of renewed interest in Angola. What’s important here is that the first two deepwater wells explored have resulted in discoveries. Angola offered exploration licenses for pre-salt blocks in 2011 based on one-on-one negotiations with select companies. A new round of licensing for onshore blocks, however, will be based on open auctioning and small and medium-sized companies will be allowed to bid. 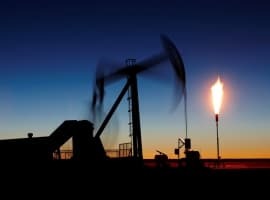 Libya announced on 14 February that Algeria’s state-owned Sonatrach had discovered an oil field and a new gas deposit in the Ghadames Basin in Areas 95/96, in the country’s southeast. Drilling here began in October 2012. This new find represents Sonatrach’s fourth since it relaunched exploration in June 2012. The new oil field has an estimated capacity of 8,200 b/d, while the gas deposit is about 1.7 million cubic meters per day. As foreign oil and gas companies rethink their presence in Libya amid an intensifying security crisis, the Libyan government is keen to promote its future oil and gas potential. At stake is Libya’s standing as the second largest exporter of oil in Africa (behind Nigeria). Libya has the largest reserves on the continent. This year is crucial for Kenya, riding high on major discoveries by Tullow Oil (UK) last year. Now it’s all about proving commercial viability. The second week in February, Tullow announced its first commercial flow rate, saying that 2,351 barrels of oil per day will flow from its northern Kenyan well (Twiga-South-1). Tullow has completed four flow tests on its Twiga South-1 well and a fifth test is currently in process. “These tests provide the first potentially commercial flow rates achieved in Kenya and provide real encouragement for the Ngamia test,” Tullow said in a statement. This is a good sign for Kenya, but there’s still some way to go. The country will need at least 85 wells like its first massive Turkana find in order to compete with neighboring Uganda (1,300 similar wells to compete with Nigeria). Tullow Oil and partners plan to begin production by 2015. Abu Dhabi National Energy Company (TAQA) and partner Fairfield Energy on 17 February announced a new discovery in the northern North Sea, where drilling began in November at the Darwin field. The discovery of two columns of oil goes some way to demonstrate the North Sea potential. TAQA is riding high on the North Sea right now and has agreed to acquire some of BP Plc’s assets in the area for $1.06 billion. Karoon Gas Australia Ltd in late January discovered light oil at the Eocene level in its Kargaroo-1 exploratory well in the Santos basin offshore Brazil. The well is located on the S-M-1101 and S-M-1165 blocks just west of other deepwater presalt discoveries in the same basin. The well has been drilled to a depth of 3,049 meters. This is a propitious discovery for Karoon (and 35% interest partner Pacific Rubiales Energy Corp. of Toronto) because the well was not the company’s primary target. Its primary targets were the Emu-1 and Bilby-1 wells in the Santos basin in blocks S-M-1102 and S-M-1137, the company’s second and third wells to be drilled. Fossil Oil Company LLC announced on 8 February that it had discovered new gas/condensate reserves in first drilling in the Cook Mountain well in Liberty Co. Texas, and in a dual-stacked horizontal well in the Buda and Georgetown formations in Brazos Co. Texas. The Cook Mountain Bandit-1 well is a 15,000 foot-deep Yegua Sand formation. Testing measured gas volume of over 2 million cubic feet of gas/day and nearly 300 barrels of condensate/day. In the Buda and Georgetown formations, the Gary Bryant-1H well is a 9,200 foot vertical well in which oil and gas has flowed throughout the drilling process. Pipelines are currently being built in both areas. Iran: 2 Billion Barrels in Discoveries Since Early 2012? 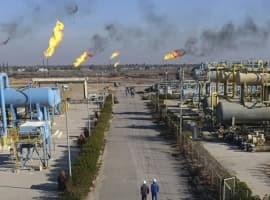 The Iranian government in late January announced the discovery of new oil and gas fields along its borders with Iraq and Turkmenistan that contain “massive” reserves. In total, Iran claims to have discovered some 2 billion barrels of oil since March 2012.